B.E.ZEE PRODUCTIONS offers production services as well as a wide range of ancillary services. B.E.ZEE’s affiliation with production specialists such as camera operators, costume designers, electrics, grips, hair/make-up artists, locations, props masters, film editors, sound re-recording artists, mixers and more enables B.E.ZEE to successfully complete each project in an efficient and timely manner. 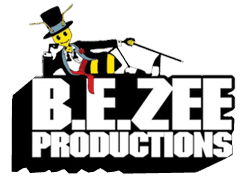 B.E.ZEE PRODUCTIONS is able to meet the requirements needed for many different facets of film production, but primarily specializes in the production of training videos. We will continue to serve and support the community and maintain customer satisfaction by sharing with them our trust and integrity by enhancing the lives of those whom we touch and building connections that last, simply by setting a standard, improving each day and having some fun while doing it! Dawn Bird, the founder of B.E.ZEE PRODUCTIONS INC. credits her beginnings as a producer to the Set Safety/Set Protocol Course (Film 164) which was offered through Smpia in partnership with Siast as a career development program.